Upstairs unit. 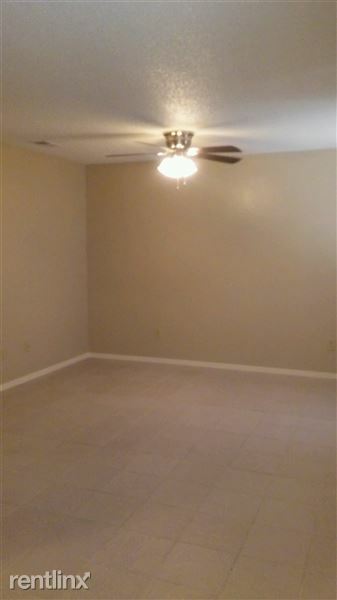 Brand new Appliances-- refrigerator, stove, light fixtures, and ceiling fans. Brand new paint. Large walk in closet in master bedroom, extended closet for 2nd bedroom, and hallway closet. Central A/C, large living room and private patio. Completely remodeled apartment. Downstairs unit with ceramic tile flooring. New cabinetry, stove, refrigerator and paint. Central A/C, ceiling fan, light fixtures, linen closet, pantry, extended closet and private patio. Welcome to north McAllen, the flourishing side of our city. We welcome you to visit our newly remodeled apartments. We are under new ownership and management. Surrounded by important streets such as 10th St, Dove Avenue, Bicentennial/2nd St. and 23rd St., make it easier to choose which street to drive for easier destination access. We offer 1 and 2 bedroom apartments within 2 level floors. All new appliances and paint on our remodeled apartments. Refrigerator, stove, range, light fixtures, and ceiling fans. Pantry, extended closet, and linen closet on our 1 bedroom apartments. Large walk in closet and extended closet, hallway closet on our 2nd bedroom apartments. Study nook in bedrooms, central A/C, private patios & balconies and on site maintenance during business hours. Take advantage of our newly remodeled swimming pool and on site laundry mat; coming real soon is our new state of the art fitness room addition. Water and Trash Included. Just crossing over the railroad tracks, you will end up at the famous 19-acre walking trail and multiple-play area Bill Schupp Park. Designated and great schools are Rayburn Elementary, Morris Middle School, and McHi High School. Don't worry for distance, we are central to several banks, grocery stores, pharmacy, various culinary restaurants, shopping centers and enjoyment.